When you are starting up your business, you are probably going to take care of a lot of things. This is when you must invest in self inking stamps as they will make it easy for you to take out time and do what’s important for your business. When you order custom stamp from The Ideal Stamp Shop, you can be sure of achieving high quality product. Here are few reasons why investing in self-inking stamp is the best bet for your business. 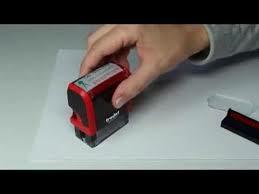 But before we start that you must also know the difference between self-inking stamps and pre-inking stamps. There are plenty of differences that separate self-inking stamps from pre-inked stamps. The number of impressions, quality of impressions, life of stamps, refillable feature, price and designs are some of the factors which can be measured to see the difference. 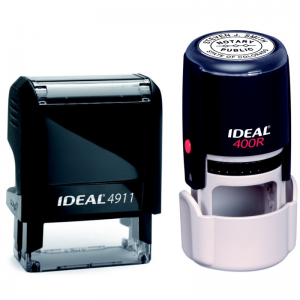 Self inking stamps have a fine quality image, a capacity to create more than 10,000 clear and crisp impressions, a refillable feature, come with a variety of ink colors, are water based ink and are priced affordably. On the other hand, pre-inked stamps are slightly expensive than self-inking stamps and feature oil based ink, a refillable feature, can easily create 50,000 impression, comes with a lifetime guarantee, have a large variety of ink colors and comes with a better impression quality. While pre-inked stamps are superior to self-inking stamps, the latter is more ideal for businesses as they can easily be carried around, are more affordable and dries quickly. Even if the self-inking stamps come with limited ink-color, investing in them is a good deal because for official purpose, you only need to deal with black, blue or red ink. 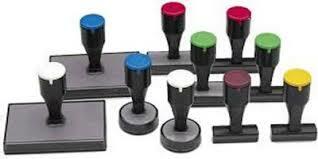 Once you get your hand on rubber stamps, they will soon become favorite among your employees. The rubber stamps are affordable and a long lasting option. You can choose to buy stamps in a variety of shapes as it comes as round stamps, custom made stamps and rectangular stamps. Now we will share some reasons why you need to get your hands on personalized stamps. Personalized rubber stamps come in different shape, sizes and colors. These stamps allow a person to get a stamp with the company’s logo, name, contact information or anything they want to inscribe on them. This is useful for businesses that are producing a lot of things and need to stamp the company’s name and logo often. After all, you definitely want people to know who the manufacturer is or who is marketing the products. You can choose the font and style of the words. If you are opting for a stamp with words such as “This belongs to” and further you need to write the same name. It is always better to get your hands on personalized stamps. There are so many different stamping options available nowadays that you can easily stamp a host of different materials and fabrics. More and more businesses are opting for customized stamps with their account details or address imprinted on them to save time and effort in writing them over and over again. If you are using self-inking stamps for personal use, you can choose to use them for images which you can’t find, can’t draw or can’t sketch. There are many artists who choose to opt for personalized stamps for their logo or to decorate a card. The stamp creating professionals can modify or clean up your sketch before producing the rubber stamp for you. Moreover as it is a personalized stamp, there will be no other stamp similar to yours. Personalized rubber stamps have started gaining popularity in the past few years. You can even have something as sophisticated as a photograph transformed into a really detailed and beautiful rubber stamp. Imagine how special that could be, with wedding and baby photos now made into a stamp for you to produce all manner of mementoes and keepsakes. Bet results are to be had with a close-up photo of a small area such as faces, rather than a group shot. But the results can be breath-taking – and many rubber stamp companies are now offering a personalized rubber stamp service at prices within the reach of most people. So now that you know that possibilities with personalized Buy self-inking stamps online are unlimited, never write your business address or sign the documents manually. Get your hand son personalized stamps today! !